Boeing has revealed a potential cabin layout for its new Boeing 777x aircraft. The announcement was made while the Aircraft Interior Expo takes place in Hamburg. Boeing’s announcement came yesterday afternoon. While it doesn’t seem as though any physical mockups were shown, there were 3D renders of the product. Indeed, this started with a photo just showing the galley of the aircraft. The rather colourful galley photo was accompanied by some shots of seating across three different cabins. First up was a shot of a rather large couch type seat, likely comprising a first class suite. 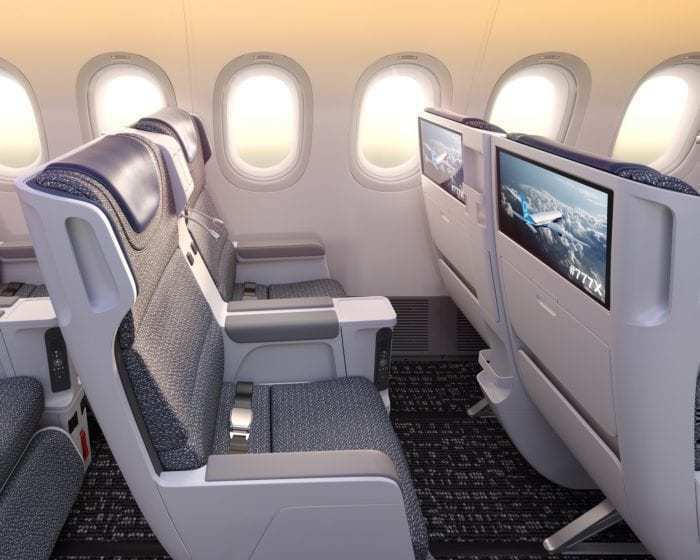 The premium economy cabin looks particularly spacious on board the mock-up aircraft. 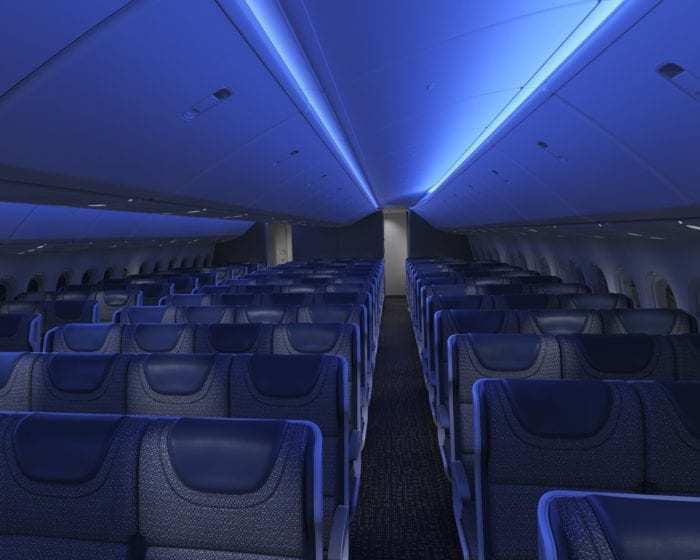 Finally, the economy cabin features a 3-4-3 layout, with some rather dark blue mood lighting. When will I see this? It’s not likely that this new design will be gracing the skies anytime soon. While aircraft manufacturers can make a suggestion as to an aircraft’s interior, it is ultimately up to the customer to pick their seating. 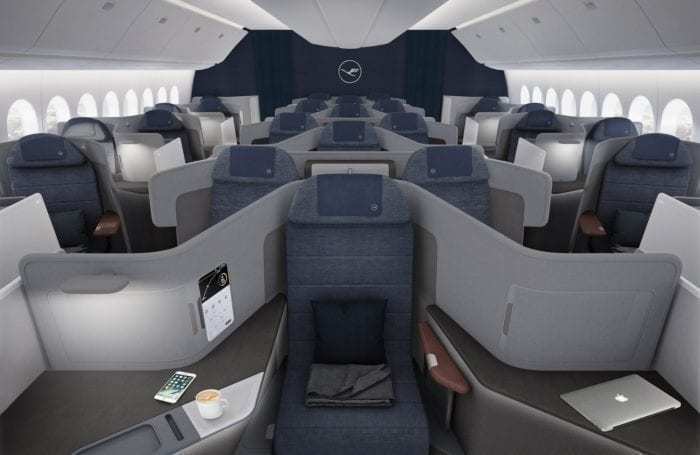 Lufthansa, the aircraft’s launch customer, has previously released photos of the new business class to be featured on the Boeing 777-9. Indeed, their aircraft will not host a first class cabin. 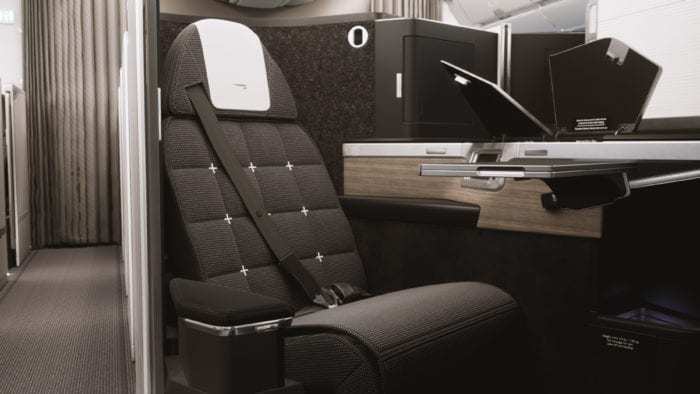 In addition to the Lufthansa cabin, we also know what British Airways are likely to introduce their new business class suite onto their ordered 777X aircraft. 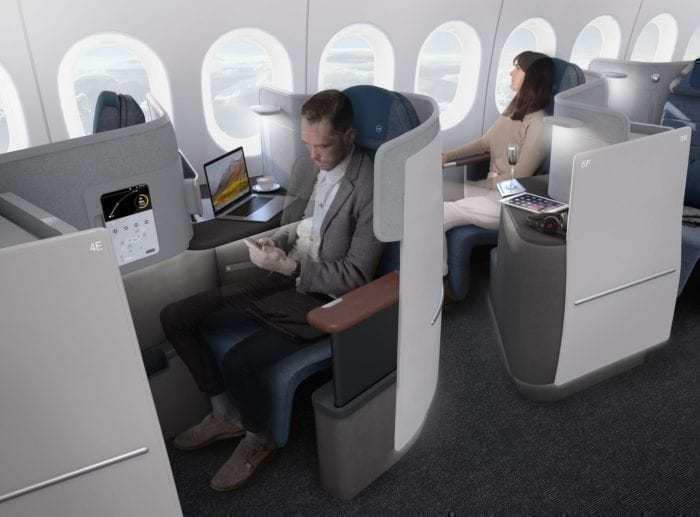 The new British Airways suite will see the dated business class currently employed by the airline receiving a well-deserved upgrade. 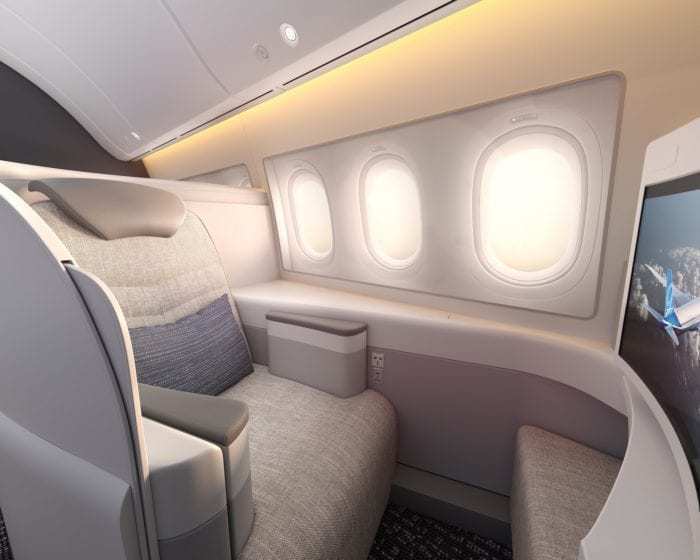 The new British Airways business suite will be installed on six aircraft this year. This includes four new A350-1000 aircraft as well as two older Boeing 777-200s. New aircraft delivered to British Airways will have the business suite. 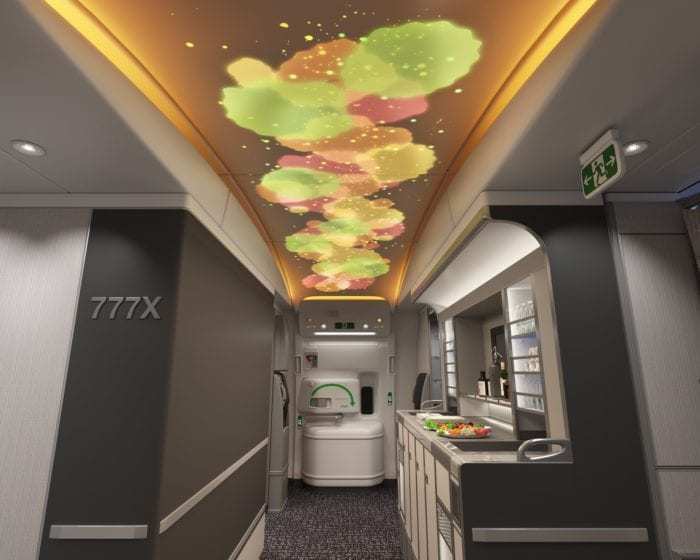 What do you think of Boeing’s 777X cabin? Let us know in the comments down below!